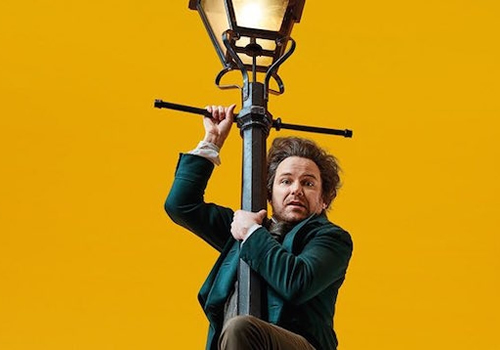 Nicholas Hytner and Nick Starr’s Bridge Theatre opens with a world premiere of Richard Bean and Clive Coleman’s brand new comedy Young Marx, starring Rory Kinnear. The first of three announced shows at the new London venue, further star-studded productions include Julius Caesar and Barney Norris’ new play Nightfall. Young Marx is the hilarious new comedy set in 1850's Europe, where a most feared terrorist is hiding out in Dean Street, Soho. Stone broke, restless and decidedly horny, the young revolutionary is a dangerous combination of intellect, razor-sharp wit and childlike emotional illiteracy. Karl Heinrich Marx is hiding from the creditors, spies and seducers of his wife, who are quickly closing in on him. His writing may be blocked, his marriage may be on the rocks and his friend Engels may be in complete despair, but Marx is still the best night out in town. Olivier Award-winning actor Rory Kinnear stars as Karl Marx, with previous notable theatre credits including The Threepenny Opera, Hamlet and The Man of the Mode, as well as screen credits in the James Bond series and The Imitation Game. Oliver Chris features opposite as Friedrich Engels, after most recently appearing on stage in the National Theatre’s Twelfth Night. Further casting includes Nancy Carroll (Woyzeck) as Jenny von Westphalen, Laura Elphinstone as Nym, Eben Figueiredo as Schramm, Nicholas Burns as Willich, Tony Jayawardena as Gert "Doc" Schmidt, Miltos Yerolemou as Barthélemy, Duncan Wisbey as Fleece/Darwin, Scott Karim as Grabiner/Singe, Alana Ramsey as Mrs Mullett, Sophie Russell as Librarian, Fode Simbo as Peter, William Troughton as Constable Crimp and Joseph Wilkins as Sergeant Savage. Young Marx reunites the award-winning creative team behind Richard Bean’s One Man, Two Guvnors, with direction by Nicholas Hytner, design by Mark Thompson, lighting design by Mark Henderson and sound design by Paul Arditti, with original compositions by Grant Olding. Young Marx plays at the newly built Bridge Theatre from October 18th to December 31st 2017. Young Marx may not be suitable for young children. Click here for the Bridge Theatre seating chart and seat price guide.